They buff and blend, but which brushes will take your look to the next level? Real Techniques Expert Face Brush (£9.99). A crucial part of your look is perfectly applied concealer. Plus, it often means you can reduce the amount of foundation you are using (great knowledge for a ‘no make-up make-up day’). This Zoeva Concealer and Buffer Brush is different from many, but is incredibly effective as the shape mimics the shape of your little finger. It can sweep the concealer under the eye, into the inner corner and create a fresh, healthy looking complexion. Zoeva Concealer and Buffer Brush (£9). The Cailyn O! Circle Brush is the king of all buffing and blending brushes. Unlike any other brush, it contains an incredible 1,254,400 micro-fine bristles, which are cut on a 35 per cent angle to allow all-over coverage. The handle reduces arm-ache and the soft brush can blend any texture, including liquid, into a natural finish. Cailyn Cosmetics O! Circle Brush (£35). Daniel Sandler Brow Groomer Brush (£5.25). 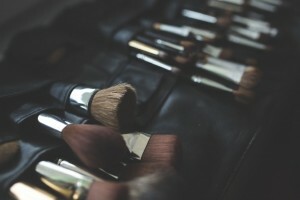 If you want to learn more tips and tricks, why not book yourself in with a professional make-up artist? View and comment on the original Women's Health article.